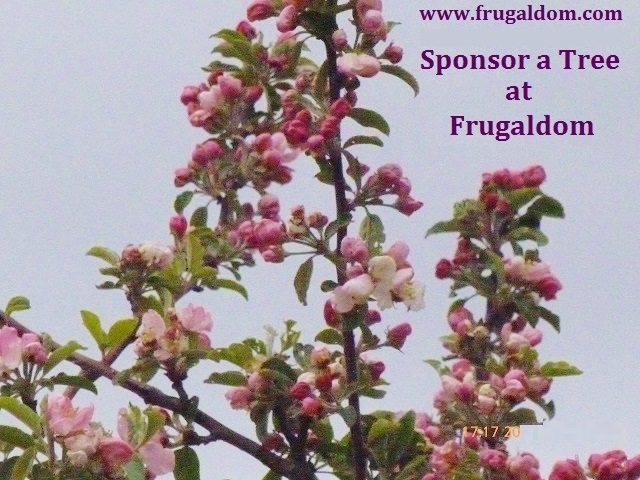 Hello to all who read these frugal blogs! I hope you all had a lovely Christmas season and that you enjoy Hogmanay and the new year festivities. Anyway, while unlocking previously archived sections of the forums and updating them as I went along, I stopped at the letter 'B' - it's alphabetical - and began reading about all our ideas and plans for the future. It's where I found this and saw just how far we had come over the past 8 years and showed that my longterm aims hadn't realy changed, apart from the fact that finding several like-minded others has, so far, proven to be impossible. In the wake of today's spending review, a thought struck me when listening to the heated debates about the housing crisis, social housing and council rents. Affordable housing is still absent, in my opinion, for all of those people who don't want or can't get mortgages. If housing associations and others are going to be encouraged to provide more affordable homes, why do we still see so many derelict or crumbling properties? I would love the opportunity to develop a derelict site into a profitable business with the potential to expand on that and bring others into the game plan. All around us are derelict houses - small collapsing cottages left to rot because owners who have inherited them can't agree how to split any proceeds from sales, or else left to rot in an effort to avoid tax. Removing the roof to avoid the roof tax has long, since, been abolished (as far as I am aware) but we now face the "problem" of these properties costing their owners up to 40% in capital gains tax. I just don't get it! Surely, in this economic climate, 60% of any surplus property sale in the pockets of the owners must be worthwhile. It has to beat zero with a crumbling wreck as your personal responsibility. One excellent frugal business proposition would be for workers' co-operatives to raise the capital to purchase these unwanted properties to turn them into viable microholdings for those who are prepared to invest in their own futures. The cost of a brick, afterall, is still the cost of a brick. It shouldn't be too adversely affected by where that brick gets laid. Waste land, scrap land, disused sites, abandoned sites... the list goes on and on, yet the right to participate in any such project is curtailed, once again, by finances and the need for ludicrous amounts of cash. A group of like-minded individuals working for the benefit of all could surely earn a living by dividing the spoils, assuming they were able to amass the funds needed to initiate such a project in the first place? My search continues for that first, elusive piece of land that could start the ball rolling. I don't have 50,000+ in the bank to buy a tiny building plot, nor do I intend borrowing it, but I'd be prepared to invest in a project where nobody squabbled about percentages and hours of work they contributed to the end result. All things being equal, (which they aren't) 1000 man hours equates to almost 6,000 even on minimum wage. Frugaldom, as a complete microholding package, is a viable business proposition. We aren't setting out to become millionaires, we're setting out as frugal entrepreneurs in the hope of realising dreams. For me, money in the banks just won't pay in the long run, not with inflation running at more than twice the BoE base rate. 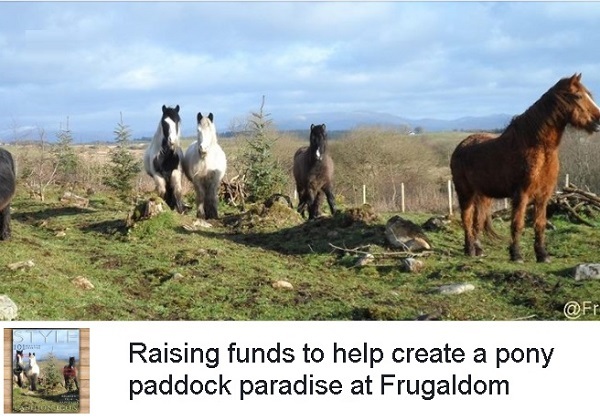 This is just a mini-blog to welcome new challengers to the concept of frugaldom and our likewise named Frugaldom project, which is based in Dumfries and Galloway region of SW Scotland. Frugal living is about a waste not, want no lifestyle of minimising the spending to primarily clear debt and then to maximise the savings. 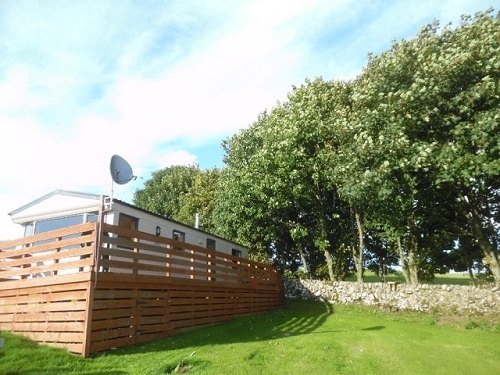 We also have our Frugal Living Challenge 2019 on the moneysavingexpert.com website forums. Almost anyone can be an entrepreneur; the only thing missing for many is a great idea. The best place to find a great business idea is to look into something about which you are passionate, for example, if you’re passionate about nature, there are plenty of business ideas with which you can run! A great idea for those who know the area around them and aren’t afraid of a little excitement is an adventure club! These clubs usually consist of a leader (that’s you!) taking members on outdoor adventures. The element of excitement is really up to you and your adventure-seeking customers. These adventures could be as simple as hiking an easy trail together or as exciting as white water rafting, depending on your expertise. Your profits will be even higher if you are teaching your club members something they don’t know. For example, teaching people how to rock climb might come with a higher charge than group hikes. You probably already know that cleaning service businesses are profitable. While it might take a little more time than cleaning a bathroom, you can also take a cleaning service outdoors. You can keep your services as simple as cleaning up litter in a backyard to as involved as construction clean up or even graffiti removal. Depending on the area in which you serve, one type of cleaning service might be more popular than the other. If you love the outdoors and have a bit of a green thumb, consider starting a landscaping business. A landscaping business helps people transform their yards, gardens, or other sites into something they love and even boost kerb appeal. It’s important to note that a landscaping business typically requires some level of education. After all, you have to know how to analyze a site, plan out a landscaping blueprint, and become familiar with local and national building codes and ordinances. It’s also important to know how to not only make a site attractive, but also how to make it safe and effective. For instance, you will need to consider factors such as stormwater management. If you love horses, you could always make a living working with them. Simply owning horses won’t really earn you a living, but if you have land and farm buildings, then you could offer a boarding service for other people with horses. Alternatively, you could also teach riding, subject to the appropriate qualifications, licensing and insurances. This will give you the opportunity not only to spend time outside with your favorite animals but to share that love with others as well. If you want to make a name for yourself at your local farmers' market, you don’t have to turn around acres of crops. Instead, you can turn your garden into a space for growing some veggies and maybe even fruits. You can earn extra by offering products as well as raw crops. For instance, if you know how to make jam, you can sell this for a higher price - again, subject to the necessary certification. Maybe you still want to take care of animals but large animals are a little too much; maybe they aren’t your preference or maybe you don’t have enough land. However, there are plenty of animals that you can take care of while living a smaller, more frugal lifestyle. To spend time outdoors, you can start a dog-walking business. This is a great option because there are many people who can’t take time in the middle of the day to come home and walk their dogs. If you want to push this business to a more profitable level, you can board dogs as well. You can be selective in the dog breeds you choose to board to ensure you don’t end up with an untrained dog in your house for a weekend. If opening a retail shop or purchasing a franchise is a bit too much, you can easily start small by opening an online store. You can also sell products that you make to a small following. You can link up with sites like Giving Assistant to help earn you a following and boost sales. Your love of nature comes in with what you make. Maybe you want to make your own, homemade tea blends or make everyday products through a greener process. This is your chance to use your love of nature to create something of which you can be proud. Creating your own beauty salon doesn’t quite sound linked to nature, but it can be, with a little creativity. Think about it this way: When you visit the beauty salon, how many chemicals and ingredients damaging to the environment do you see? As an alternative to this, you can start your own beauty salon that uses safer products. There are plenty of hair products and skin care products that you can make with completely eco-friendly, vegan ingredients. Do you already dedicate your life to green living? Is recycling and composting a part of your daily routine? Are you greener than the average person? If so, then you might be the perfect person to start an eco-consulting business! Many people don’t live or operate their offices in the most eco-friendly ways. In many cases, these people simply aren’t sure of where to start and where to go. This is where you step in: Your business would be to help these clients transition to more eco-friendly businesses, operations and lifestyles. As we pointed out earlier, many people are willing to pay for cleaning services—inside and out. However, much like we mentioned with beauty salons, these services usually include an alarming amount of harmful ingredients to nature—and humans! Regardless of the type of “nature” business you choose to start, there are plenty of options available. With a little creativity and hard work, you can turn your love for nature into a healthy living—in more ways than one. You should always check that you have any essential qualifications, permissions and/or insurances necessary for carrying out your chosen business ventures but there is bound to be something you can do that combines your love of nature with income generation.